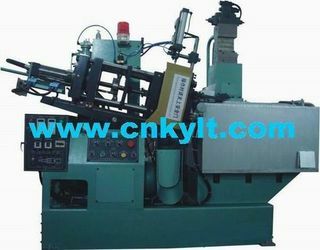 KYLT Industrial Limited Company is specialized in business of cold / hot chamber die casting machines (zinc alloy injection machines & lead alloy injection machines, lead acid battery PB bushing terminal injection machine) and precision Alu. Zn. alloy die cast. With good quality & excellent service, our cold / hot chamber die casting machines and precision metal parts are export to Brazil, India,Bangladesh etc countries and regions. 1. 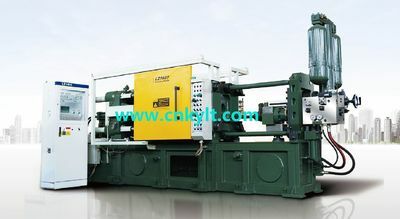 PLC Cold Chamber Die Casting Machines for Aluminum (Al.) Zinc/Zamak (Zn.) Lead (Pb.) Magnesium (Mg.) Metal Alloy which nonferrous materials be melted by separate furnace, then use ladle pour to injection chamber, high-pressure and high speed injection system inject the molten material to mould cavity to got required die casting parts. 2. Full Automatic PLC Hot Chamber Die Casting Machines for Zinc/Zamak (Zn.) Lead (Pb.) Tin (Sn.) 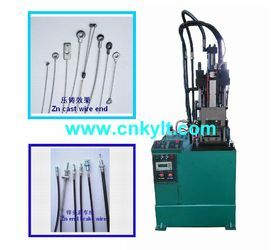 low temperature melting alloys which furnace is locked together with injection machine, plunger inject molten metal from pot through gooseneck and nozzle shot to mould cavity directly. As it is most used to cast zinc components, so, someone named it zinc zamak injection moulding machine / pressure injeciton machine, zipper making machine. 3. Lead-acid battery Pb. 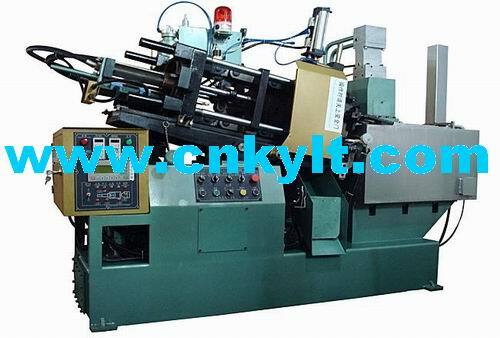 Bushing Terminal Injection Machines specailly used to cast lead acid battery bush and terminal parts with moulds. As per different power suppliy, we have 220V ,380V power type to meet clients demand. 4. 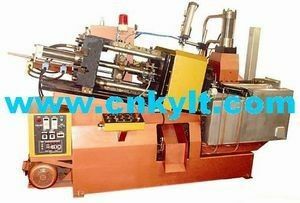 Vertical Die casting Machines are used some special zamak / lead parts which need insert to be cast together with zamak or lead materail and it can not be hold by mould in horizontal machine. Such as: car bike brake cables which body or terminals have zamak block. 5. Moulds for plastic molding, stamping and die casting. 6. Die Casting Parts: KYLT have 12T - 88T hot chamber die casting machines and 200T - 300T cold chamber die casting machines to produce aluminum, zamak/zinc alloy parts. 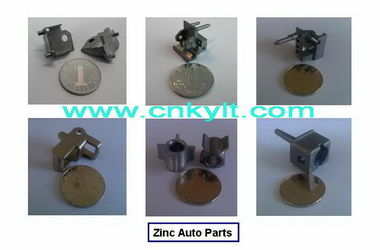 From molds making, injection, polishing, machining, painting (ano) packing. 7. 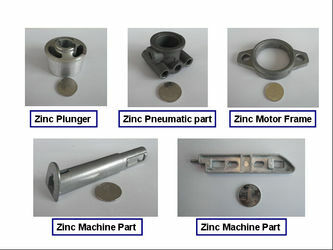 Others: KYLT has stamping and plastic injection service for parts which need be assembly in our facotry.